Sarah Baechle specializes in Middle English language and literature and history of the medieval book. Her research interests include Chaucer, particularly manuscript traditions of his work within the larger cultural nexus of late fourteenth-century English-French interaction; Latin marginalia in copies of vernacular poetry; and medieval poets’ figurative strategies for representing emotion. She is currently working on a book project, Makeres in Their Margins: Latin Glossing in Chaucer’s Cross-Channel Literary Milieu, which explores the function of Latin marginalia in manuscripts of Chaucer’s poetry and their role in shaping medieval practices of literary criticism in the fourteenth century. 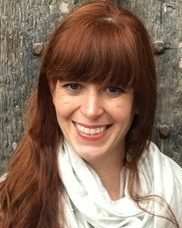 She also is co-editing theessay collection Subjects of Violence: Women, Consent, and Resistance in the Late Middle Ages, and coedited New Directions in Medieval Manuscript Studies and Reading Practices: Essays in Honor of Derek Pearsall (U. Notre Dame Press, 2014) with Kathryn Kerby-Fulton and John Thompson.